Tenzin Gyatso, the 14th Dalai Lama, lived through remarkable times that thrust him onto the world stage. Political events in his home country and a growing global demand for its wisdom expanded his role as the leader of a nation and a religious community into that of an international spiritual authority and diplomat. The winner of the 1989 Nobel Peace Prize for his work on nonviolent resolution with China, he became even perhaps more widely known for his lectures on spiritual topics ranging from traditional Buddhist teachings to the intersection of religion and science. Born in 1935, the Dalai Lama was recognised as such in 1937 by monks who identified him as the reincarnation of the previous Dalai Lama, who had died in 1933. Born into a humble farming family in which he was one of sixteen children, he was swept into a very different world when he began his rigorous monastic education. At the Potala Palace, he studied monastic discipline and meditation, Buddhist metaphysical and ethical teachings, and other subjects including fine arts, logic, and medicine. His childhood and education are explored in the 1997 Martin Scorsese movie Kundun, which also depicts the Chinese invasion of Tibet that sent him and many other Tibetan Buddhist monks into exile in 1959. The Dalai Lama belongs to the Gelug school of Tibetan Buddhism, which teaches Vajrayana Buddhism, a branch of the Mahayana Buddhist school. In Mahayana Buddhism, the goal of individual enlightenment is set aside for the goal of liberating all other beings from the cycle of suffering or samsara. The essence of Vajrayana, or Tantric Buddhism, is the concept of rapid spiritual transformation through direct engagement with the substance of everyday life. In Vajrayana, negative states of mind such as hatred and desire are embraced and worked with directly as the path to enlightenment. One of the symbols of Vajrayana is the peacock, whose beautiful plumage was said to result from the transmutation of poison. Traditional Tibetan teachings go into great depth regarding the nature of mind. The unique path of the 14th Dalai Lama has led him to publish dozens of books ranging from dense texts on complex tantric teachings like the Kalachakra (Wheel of Time) to books for a popular audience on happiness and compassion. 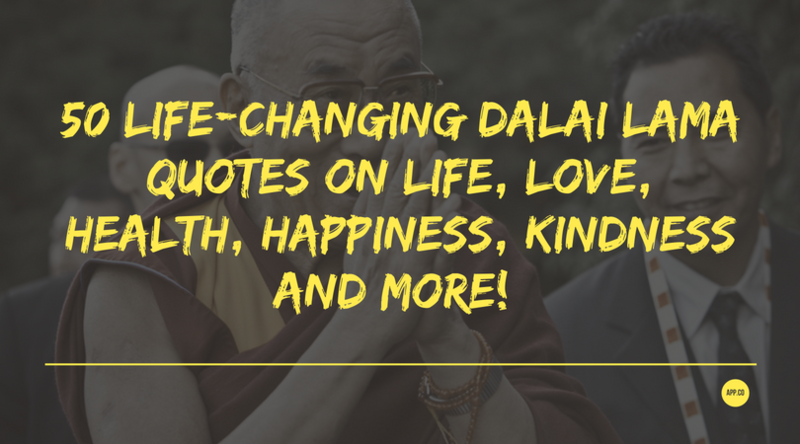 So without further ado, here are 50 life-changing Dalai Lama quotes on life, love, health, happiness, kindness and more! The Dalai Lama’s teachings focus on the central role of happiness in personal and global transformation. At first, this may seem counterintuitive, out of place for a lofty spiritual thinker who has spent his life studying complex teachings on the nature of mind. Yet, to the Dalai Lama, happiness is the foundation upon which all other positive change rests. Compassion and altruism much more naturally flow from people who are happy than from people who are unhappy. Similarly, cultivating compassion and love is the most direct and powerful way to achieve and maintain happiness. These states of mind inspire actions that benefit others, and these states, as well as the fruits of the actions driven by them, inspire feelings of well-being. As the Dalai Lama teaches, compassion and love can be generated through various forms of mental training and meditative discipline. These traits are a much more stable foundation for happiness than fleeting external circumstances. In the Buddhist perspective, this positive cycle in which benefits to self and benefits to others feed upon one another reflects the wisdom that the mind, rather than the objects it perceives, is the primary basis of experience. The Dalai Lama sees love as the driving force of the human realm: though hate and violence exist, they are not our true nature. Like all Buddhists, the Dalai Lama believes human nature and human life are fundamentally good, and that the nature of the mind is fundamentally peaceful. As he notes, while we tend to focus on and react to stories that reinforce our self-image as a violent and destructive species, the greater human story is one of cooperation and of helping one another. It is our love for one another that is the source of our greatest inspiration to learn, create, succeed, and overcome the challenges we face. It is not that the “three poisons” of greed, hatred, and ignorance are not at play in the world, but that they are not the fundamental nature of this world. Rather, they arise from a cycle of misperception that can be broken and disappear completely in the light of the awakened mind. The Dalai Lama takes care to distinguish the wholesome, self-sustaining love of the disciplined mind from the confused and unstable feelings that arise from attachment. Wise love does not seek to control another person and is not dependent upon that person’s reactions or feelings. Instead, it is rooted in a desire for the other to be happy. This kind of love never transforms into hate and is a balm for the spirit in the face of loss and hardship. It is the flame that lights the way when all else has become dark, bringing us back to others and to our own inner wisdom. 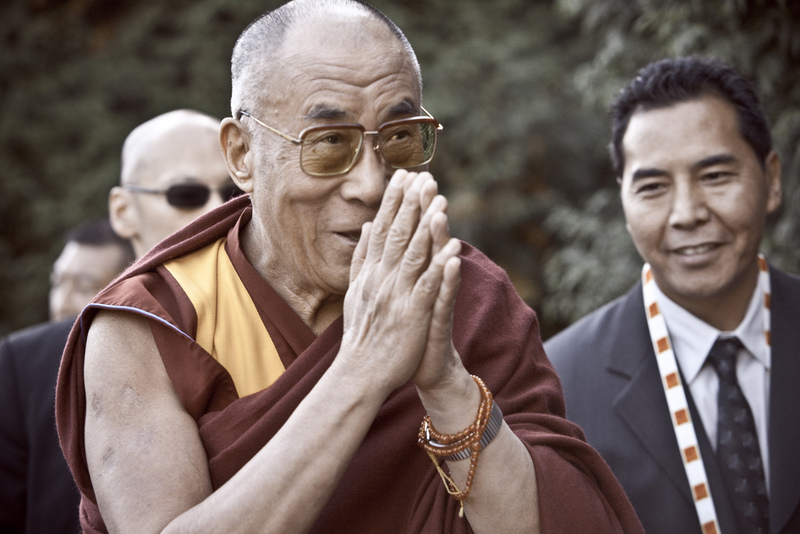 One of the Dalai Lama’s most well-known quotes is that his religion is kindness. In the simple act of helping others is folded an entire science of mind. 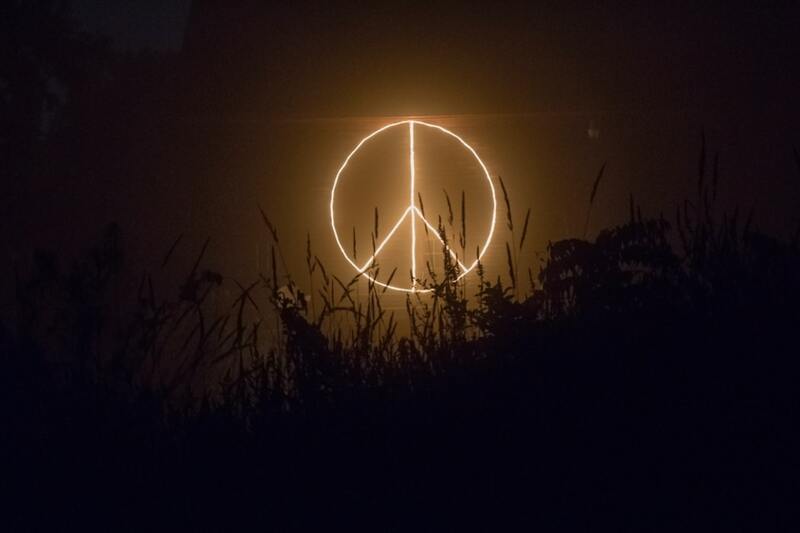 Peace, love, compassion, and kindness are profoundly interrelated; a loving and peaceful mind naturally generates acts of kindness and compassion, which in turn reinforce positive states of being. As with love, the Dalai Lama teaches that true kindness is not driven by the desire to control another person or to elicit a certain response from them. Rather, it is driven by a genuine wish for another to be happy and free from suffering. This wish is grounded in wisdom and the understanding that others cannot be made happy, but can be inspired and aided in their path to happiness by acts of kindness. Such acts encompass everything from sharing material resources to speaking encouraging words. In the Buddhist tradition, one of the kindest things a person can do is free others from fear. The most profound way to do this is to share wisdom that dispels illusion: in the Buddha’s words, to help people see that the snake they fear is actually just a rope. As the Dalai Lama teaches, just as happiness is dependent on the cultivation of positive states of mind, fear is dependent on the maintenance of negative states, which are in turn dependent on misperceptions. Helping a person with a burdensome task has the power to achieve not only a material outcome, but to shift that person’s perspective. Simple acts of kindness often have an impact far beyond the moment and circumstances in which they arise. One of the most fundamental Buddhist teachings is that inner peace comes from within; it is entirely independent of external states. While freedom from a certain level of external strife makes the attainment of peace easier, a person with excellent mental discipline can find peace even in extremely violent or chaotic circumstances. A traditional Tibetan Buddhist teaching is to see everyone as a teacher, especially those who appear to be enemies. The Dalai Lama and many other Tibetan Buddhists were forced to put these teachings to the most extreme test as they suffered the hardships of persecution, exile, and even torture. Their ability to maintain peace was dependent on their ability to have compassion for those who harmed them. Fortunately, most of us won’t be tested under such extreme circumstances. Instead, we learn how to maintain peace in the face of everyday adversity: rude treatment by strangers, traffic, frustrations at work, and misunderstandings with loved ones. The Dalai Lama does not advise us to be passive, but that we try to resolve difficulties with a peaceful mind. The best way to learn how to maintain equanimity in the face of adversity is to work directly with the mind, especially through the practice of meditation. 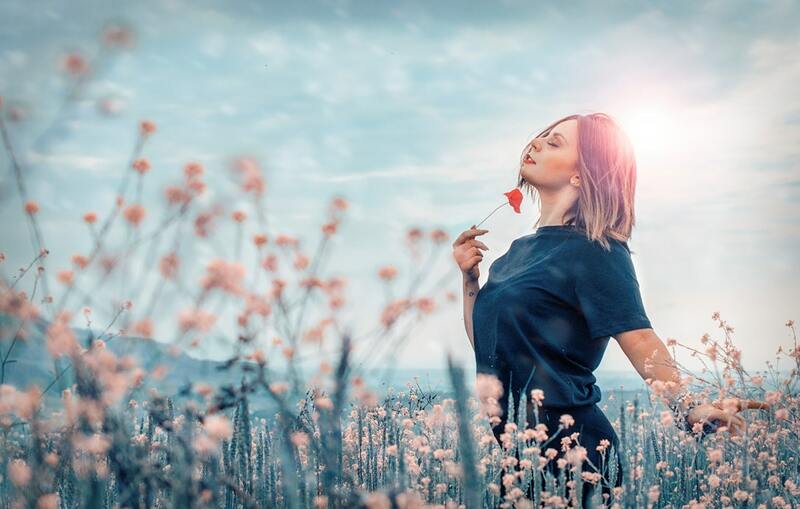 Learning how to return the attention to the breath when thoughts arise helps train the mind for the greater challenge of letting go of negative emotions. The Dalai Lama teaches that physical health is linked to a peaceful mind. This is a traditional Buddhist view, and in the last several decades has received increasing support from scientific research. 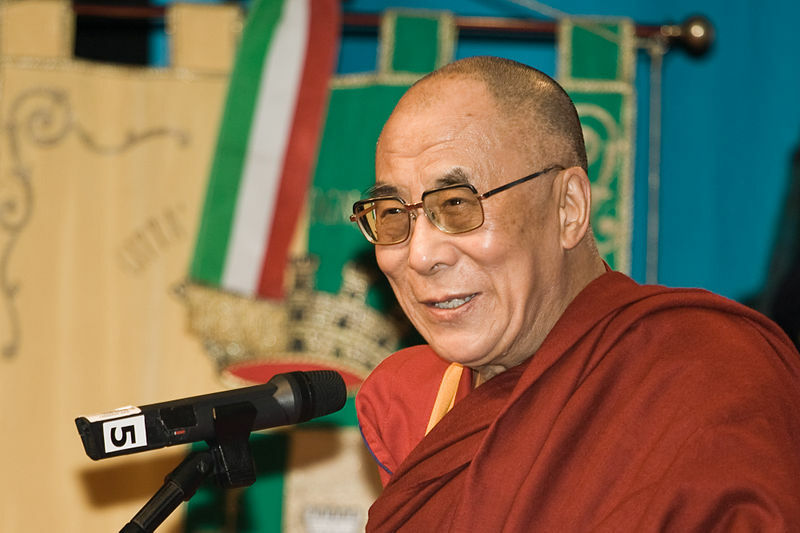 In his work with the Mind and Life Institute and other scientific organisations, the Dalai Lama has been at the forefront of the dialogue between science and religion. One fundamental area of agreement between the two is the link between body and mind. Stress has been shown to not only cause immediate changes in blood pressure and immune response, but to contribute to the development of chronic conditions. Similarly, meditation and other practices that cultivate a peaceful mind, like yoga, have been linked with improved health. This said, the Dalai Lama is careful to clarify that our striving for better health is only effective up to a point. People do not need to attain the “perfect body” or the perfect state of health to find peace. Just as people can learn how to face interpersonal adversity with a calm mind, peace is still possible when physical pain or ill health arise. By training the mind, people can learn how to let go of the thoughts and emotional states that increase discomfort and tension and identify with the ground of being, the peace that is always there underneath the pain and stress. Buddhist teachings emphasise the importance of truth. To the Dalai Lama and other Buddhists, truth is not that which can be believed, but something that is beyond belief. The difference has to do with the Buddhist view of thoughts, which are understood as a phenomenon at the surface of the mind rather than its deepest expression or nature. Thoughts can be useful in navigating day-to-day life but are also a primary source of confusion and suffering. It is only when people learn how to experience the deeper states of mind beneath the movement of thoughts that they gain clarity. Understanding that thoughts cannot capture the entire truth of a situation allows a person to be less fixed in their views and to respond more freely to life circumstances. In Buddhism, wisdom and compassion are understood as essentially linked, two aspects of the same reality. Compassion only liberates when it is wise and grounded in truth, and wisdom is only meaningful to the extent it is linked to compassion. The cultivation of each is also linked; the wiser people become, the more compassionate they become, and vice versa. It is for this reason that the Dalai Lama focuses his teachings on the cultivation of compassion: it is a direct path to truth that does not demand perfect clarity or adherence to any particular belief system. The benefits of a more compassionate life are not limited to membership in any one religion. The Dalai Lama’s teachings about the way to achieve and maintain inner peace are simple: be kind and cultivate love and compassion. However, he is also comfortable with life’s complexities. He acknowledges that even he makes mistakes and gets angry. He remarks upon our need to come together to address challenges like environmental degradation and social injustice, and how these require multifaceted solutions. The importance of consistent practice on the spiritual path is also emphasised. This path is not a permanent solution to life’s problems or a form of control, but a way of moving through life’s challenges with peace and clarity. The point of meditation is not to completely rid the mind of thoughts, but to practice bringing the attention back when distractions arise. Likewise, the aim of practising compassion is not to achieve a state where anger never arises, but to learn how to return to a loving state of mind after it does. Seeing life in this way brings its own peace, as it reminds us that the happiness we seek is not on the other side of a permanent attainment, but is always as close as our ability to return to it. Life’s value does not lie in what can be measured, listed on a resume, or added to a bank account. We might do different jobs or have differing levels of status or wealth, but we all fundamentally seek happiness and all find it in the same place: in ourselves. I agree that love, compassion and kindness are important for a peaceful life. But sometimes people take a person’s kindness to be a weakness. Even though the kind person helps others in their troubles but no one helps that person when he is in trouble. What can one do in such a situation ?